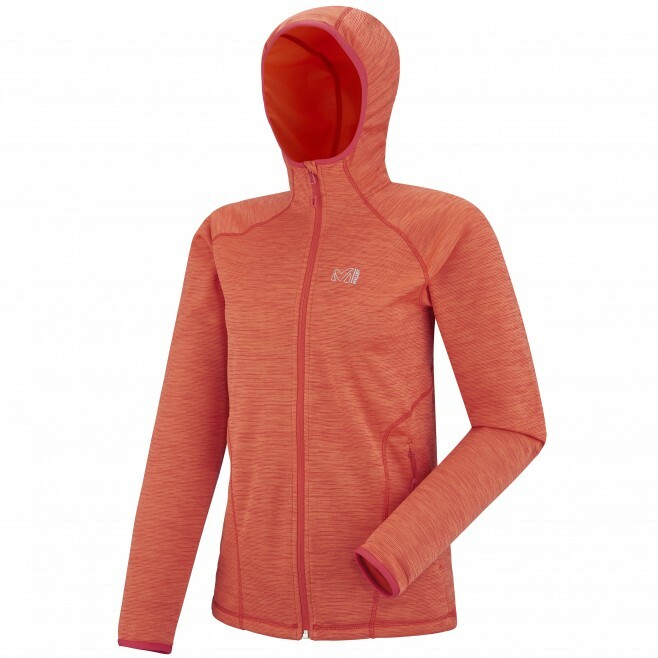 For alpine escapes and trekking, this women's thermal-regulation jacket offers fleece insulation - appreciable in cool weather. A modern, streaked, eco-impact, 100% POLYESTER concept, the LD TWEEDY MOUNTAIN HOODIE wicks away surplus sweat fast to help the body maintain the right core temperature during exertion. The exterior is anti-pill finished for resistance, and the brushed interior is toastily warm. With its close fit and female ergonomic, it stays light and comfortable in action, with flatlock seams and off-center shoulder seams for backpack-carrying comfort. A jacket that blends savvily into urban environments.